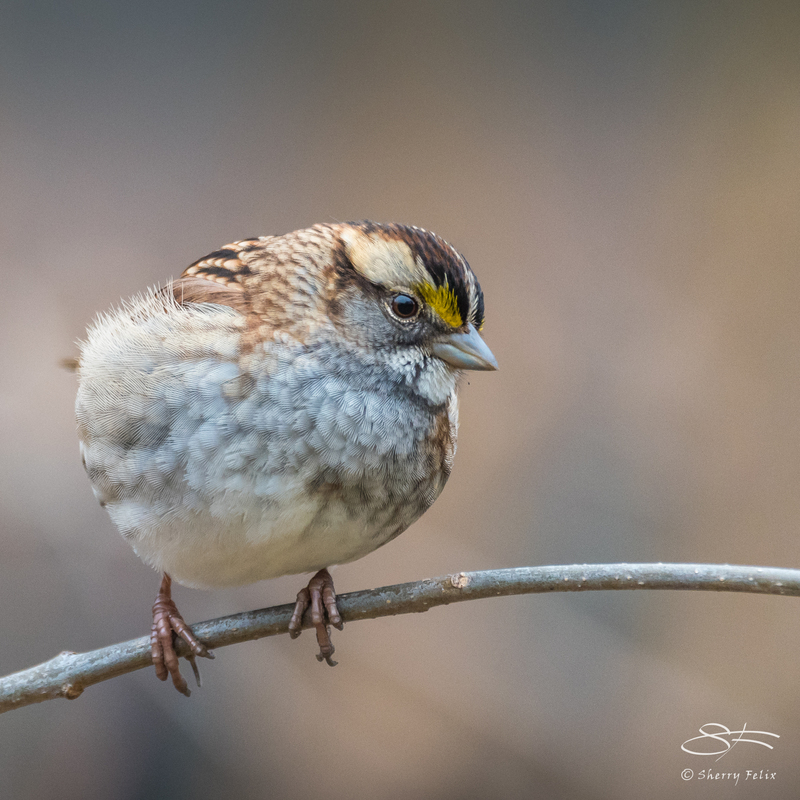 This White-throated Sparrow came right up to me to look me over. It was hard to focus so close in. This a a beautiful shot!! Wow!! True, a sweet expression too. You captured his curiosity well, Sherry. Beautiful sparrow. Thanks. I love observing bird’s body language. I have a parrot, a Timneh Gray, his is such a character. I lean from him. almost a bird in the hand! Gorgeous Sherry! Thanks Cybele. He sure was close. Wonderful photo, Sherry :-)! The colours and feather detail make me feel like the little fellow is sitting on my laptop instead of my cat. The eye and yellow supraloral feathers are captivating! What a beautiful photograph, and he is just adorable! Thanks for the compliment and for dropping by. Such a delightful capture – I can almost here him singing! This photograph captures the ineffable beauty of a simple sparrow. I double clicked on it and your image enlarged to show every feather in gorgeous detail. I am so glad I can enlarge your photos on my computer. Most of the WordPress people’s photos will not enlarge. Very nice, he is a cutie! They are sweet. There are hundreds of them in the park during the winter. Soon they will leave to go north to breed. I couldn’t miss. It was in my face.